Mushroom risotto, chicken fajitas, pavlova and sticky toffee pudding are just some of delicious dishes that children can learn to create this summer at The School of Artisan Food. The Junior Cooks and Junior Bakers courses are led by a Cordon Bleu trained chef and aim to give young people confidence and skills in the kitchen. The one day courses take place in August at the School based in the heart of Sherwood Forest on the Welbeck Estate in North Nottinghamshire. Justine Kanter is a Cordon Bleu trained chef and mother of two teenage boys. Armed with a thorough understanding of ingredients, together with classic techniques, and secret tips, she will show young people how to make their food taste better. 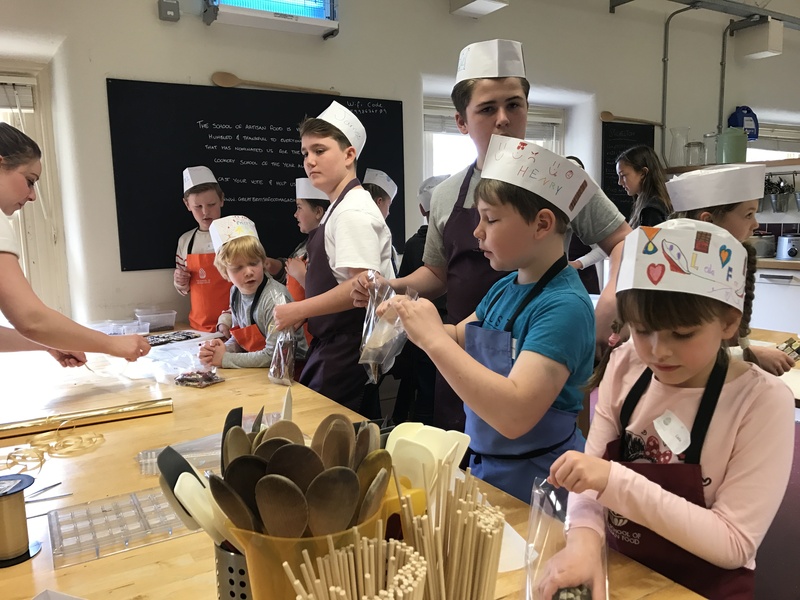 Junior Bakers is ideal for 10-14-year-olds who will spend a hands on day learning how to make a range of delicious desserts such as pavlova with summer berries; cheesecakes; sticky toffee puddings; chocolate mousse pots and vanilla panna cotta. Each student will take home what they make. The course takes place on Tuesday 14 August from 9.30am-4.30pm. The Junior Cooks course is for 11-16 year-olds and will help develop a love for food, build confidence in the kitchen and teach practical skills and recipes. The course takes place on Wednesday 15 August, from 9.30am to 5pm. During the day, the young cooks will make mushroom risotto; chicken, ham and leek pie; chicken fajitas; sausage, mashed potato and gravy; tiramisu and mini chocolate pots. A not-for-profit organisation and registered charity dedicated to teaching skills in all aspects of sustainable and artisan food production. The School offers a unique environment for people of all skill levels to expand their knowledge through a wide range of short courses in baking and patisserie, cheesemaking, butchery and charcuterie, ice cream and chocolate making, preserves, charcuterie and brewing. It also offers an accredited 6-month Advanced Diploma in Artisan Baking and professional business courses for new food start-ups and existing enterprises. As a charity, the School works with voluntary organisations, schools and colleges, and community groups to provide opportunities to inspire and teach artisan food production skills. The School of Artisan Food is delighted to have been honoured with the Clarissa Dickson Wright Award at the Countryside Alliance ‘Rural Oscars’ for its outstanding contribution to food and education. To learn more visit www.schoolofartisanfood.org or call 01909 532171.